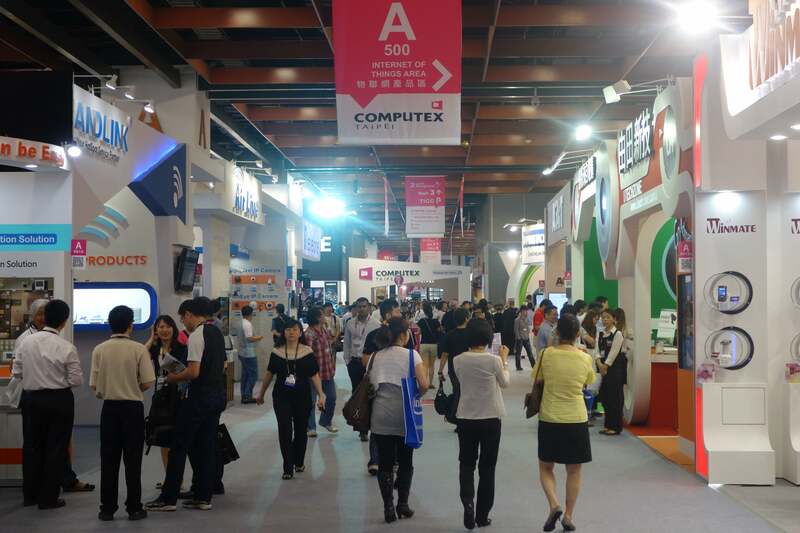 Though Computex happens an ocean away from the United States, it’s a great show for PC lovers to keep an eye on. 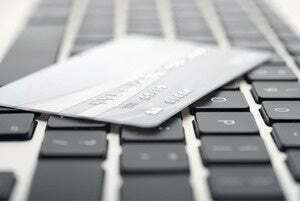 Here’s a roundup of our favorite gadgets from Computex 2013. Though Computex happens across the Pacific Ocean from the United States, it’s a great show for PC lovers to keep an eye on. During the annual trade show in Taiwan, PC makers such as Acer and Asus keep it real by trotting out their latest laptops, tablets, and hybrids—many of which will be available soon. Here’s a roundup of our favorite gadgets from Computex 2013. Behold, the first small Windows 8 tablet, Acer’s Iconia W3. Rather than wait for Windows 8.1 and Intel’s Bay Trail processors, Acer packed an Intel Clover Trail chip into a handheld tablet with an 8-inch, 1280-by-800-resolution display. Other specs include 2GB of RAM, a minimum 32GB of storage, front and rear cameras, MicroSD, Micro-USB, and Micro HDMI. It’ll cost $379 when it launches later this month. An optional full-size keyboard dock will cost about $90 extra, but a free copy of Office Home & Student 2013 should make that price tag a little less daunting. It took a few years, but Windows laptops are finally matching Apple’s MacBook Air in the looks department, while creating their own design aesthetic. Take Asus’s Zenbook Infinity, for example. The upcoming Ultrabook measures just 0.55 inch at its thickest point, and it has a brushed-metal finish with scratch-resistant Gorilla Glass on the back cover, the trackpad, and of course, the display. 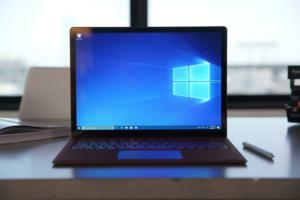 The Zenbook Infinity isn't skimping on specs either, with a 13.3-inch 2500-by-1600 resolution display, an Intel Core i7 Haswell processor, and Intel’s Iris graphics. No word on pricing yet, but it’ll be out in the third quarter. Asus has long dabbled in both Windows and Android, but the Transformer Book Trio is the company’s first attempt to mash both operating systems into a single laptop-tablet hybrid. The base of the device has an Intel Core i7 chip and a 750GB hard drive. It can switch between Windows 8 and Android Jelly Bean. When the 11.6-inch 1920-by-1080-resolution screen is detached, it runs Android on its own Intel Atom processor, with 2GB of RAM and 64GB of solid-state storage. There’s no word yet on pricing or release date. Who needs a keyboard with travel? Not Dell, whose XPS 11 laptop has—ahem—borrowed the 360-degree hinge design of Lenovo’s IdeaPad Yoga, but with a flat keyboard reminiscent of Microsoft’s Surface Touch Cover. The unique keyboard helps the XPS 11 feel more like a tablet when it's folded flat, and Dell says the keyboard will make up for the lack of travel with adjustable haptic and audio feedback. We’ll find out how well that works when the XPS 11 launches this holiday season. Dell’s original XPS 12 was one of last year’s cleverest Windows 8 convertible designs, with a display that flipped around to tablet mode from within its frame. But like every other Intel Core-based hybrid, its battery life wasn’t stellar. Rather than go back to the drawing board, Dell is sticking an Intel Haswell processor into the next-generation XPS 12, for up to 9.5 hours of battery life and 63 percent faster performance. That’s fine by us. It’ll be out in the coming weeks, at a base price of $1119. 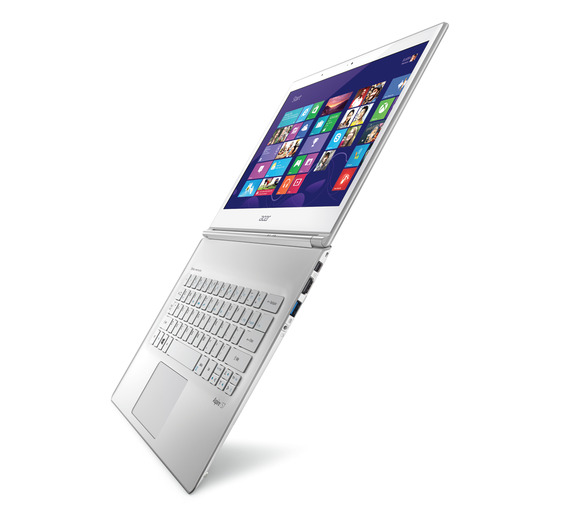 Acer is sparing no expense for the next generation of its flagship Ultrabook, the Aspire S7. Outside, the S7 has Gorilla Glass on the lid, and a 13-inch, 2560-by-1440-resolution display. 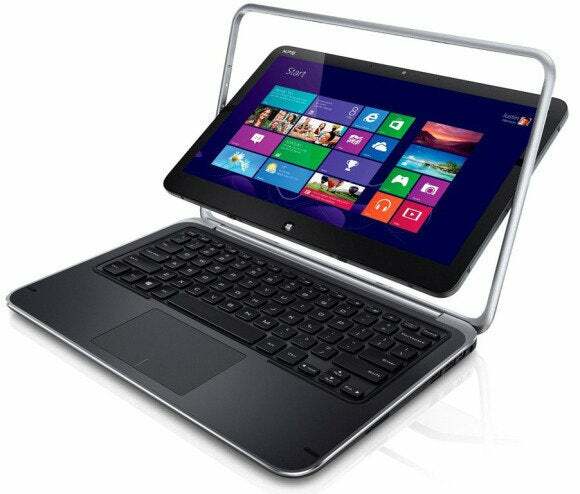 Inside, it packs an Intel Haswell processor (Core i5 or i7) and 8GB of RAM. Best of all, Acer is promising 7 hours of battery life, a huge improvement over the current S7’s 4-hour battery. The whole package weighs just 2.87 pounds, and measures 0.51 inch thick. But that style comes at a cost of from $1400 to $1700, with no word yet on availability. 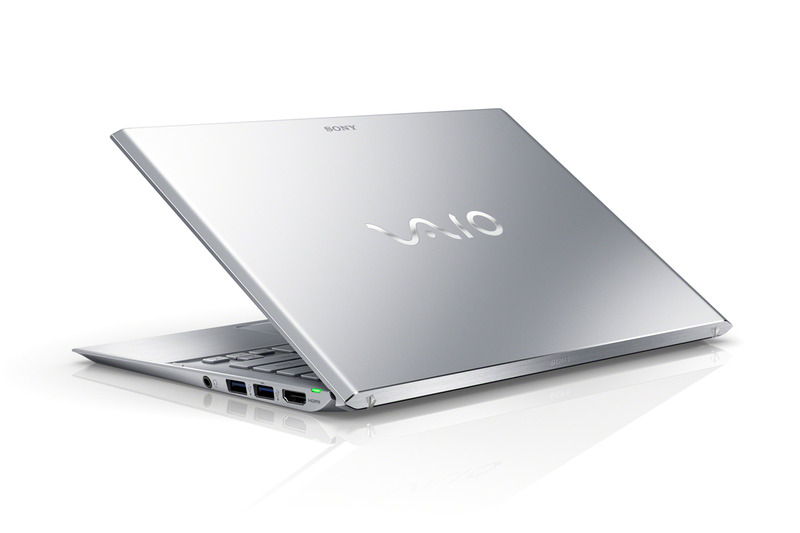 The most intriguing straight-up Windows 8 hybrid at Computex was Sony’s VAIO Duo 13, the sequel to last year’s Duo 11 slider. The new Duo achieves nearly the same weight and thickness as its predecessor, at 2.93 pounds and 0.77 inch thick, but it packs a 13-inch 1080p display, a proper trackpad, and roughly double the battery life (up to 10 hours). 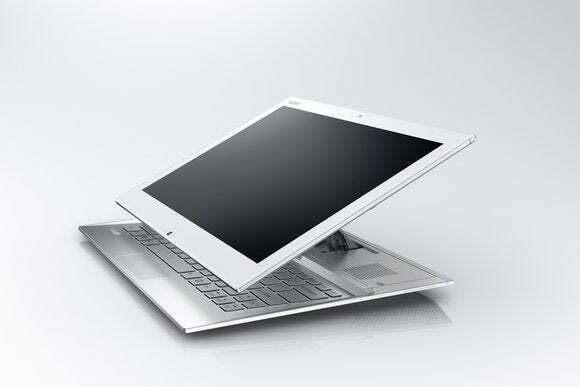 Other specs include a 1.6GHz Intel Core i5 processor, 4GB of RAM and a 128GB solid-state drive. Prices start at $1400, with fancier configurations available. The Duo 13 launches on June 9. Not feeling Sony on the convertible front? The company is also introducing a couple of MacBook Air rivals, the VAIO Pro 11 and VAIO Pro 13 touchscreen laptops. The former weighs just 1.92 pounds, and the latter (shown) weighs 2.34 pounds. Base configurations include an Intel Core i5 processor and a 1080p display. Both models let you slap on an extended battery sheet, for 14 hours of power on the 11-inch model, and 13 hours on the 13-incher. Prices start at $1150 for the Pro 11, and $1250 for the Pro 13. Shipping starts on June 9. Computex was mostly a showcase for Windows PCs, but that didn’t stop a few vendors from talking about Android. Toshiba announced three Android 4.2 tablets under the Excite brand, all with 10-inch displays. The $500 Excite Pro and the $600 Excite Write both have 2560-by-1600-resolution displays, Nvidia Tegra 4 processors, 2GB of RAM, and 32GB of storage, but the Write is distinguished by its pressure-sensitive stylus. The $300 Excite Pure earns its low-budget status with a 1280-by-800-resolution display, 1GB of RAM, and 16GB of internal memory. 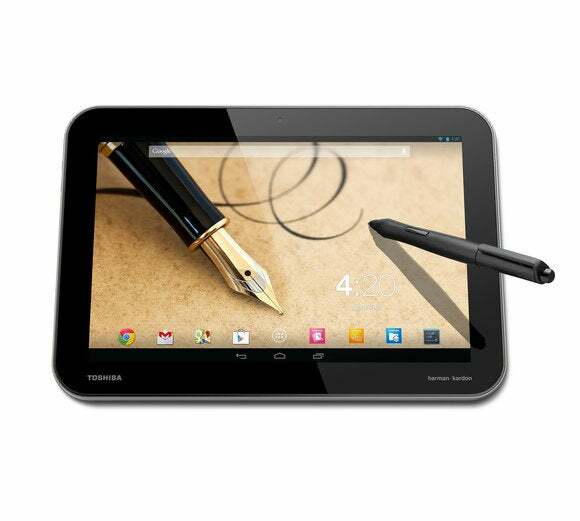 All three will hit Toshiba’s website on June 25. Okay, so the wild-eyed futurism of CES wasn’t completely absent from Computex. During the show, E-Ink and Sonostar announced the Sono Smart Watch, with a 1.73-inch flexible E-Ink display. The flexible screen allows for a curvier design than we’ve seen in other smart watches, such as the Pebble—and it's a good indicator of where the technology is headed. The watch should launch in the third quarter for $179. 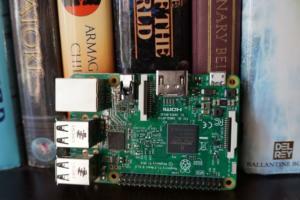 When the PC is obsolete, how will you do this, and this, and this? 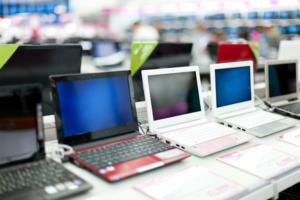 Wondering what, if anything, you have to lose by ditching your old-school PC? We came up with a list of a dozen things we wouldn't want to say goodbye to.